The next few weeks are Obama's last chance to show such mercy to more people. A range of organization and individuals, including mayors, foundation executives and philanthropists, formerly incarcerated including past clemency recipients and others, have urged the president to take a broader approach that will help more people. Advocates have also noted the program to date has largely left out prisoners convicted of marijuana offenses, and that it has failed to proportionately help female prisoners, many of whom were charged for the drug trafficking offenses of their partners under conspiracy laws. Please use our form to urge Pres. Obama to grant as many more appropriate clemencies as he can. When you're done, please use this call tool from Weekly Actions to Resist Trump to call the White House too. Lastly, please use the comment board on this web page to post any petitions or other efforts you know about that advocate on individual clemency appeals or in support of the general clemency effort. use existing categorizations about prisoners' risk of re-offending, based on prison officials' determinations as well as age and past offenses, as an expedited vetting process to be able to get these done before January 20th. This is a brief moment in time when it is possible to change the lives of drug war victims in the most dramatic way possible. Your emails and phone calls to Pres. Obama could make all the difference for any number of people. Thank you for taking a stand for justice. Legalization initiatives won in California, Maine, Massachusetts, and Nevada, losing only in Arizona. These weren't the first states to do so -- Colorado and Washington led the way in 2012, with Alaska, Oregon, and Washington, DC, following in 2014 -- but in one fell swoop, states with a combined population of nearly 50 million people just freed the weed. Add in the earlier states, and we're now talking about around 67 million people, or more than one-fifth of the national population. The question is where does marijuana win next? We won't see state legalization initiatives until 2018, (and conventional wisdom may suggest waiting for the higher-turnout 2020 presidential election year), and most of the low-hanging fruit in terms of initiative states has been harvested, but activists in Michigan came this close to qualifying for the ballot this year and are raring to go again. In the meantime, there are the state legislatures. When AlterNet looked into the crystal ball a few weeks ago, the best bets looked like Connecticut, Maryland, New Mexico, Rhode Island, and Vermont. Medical marijuana is even more popular than legal marijuana, and it went four-for-four at the ballot box in November, adding Arkansas, Florida, Montana, North Dakota to the list of full-blown medical marijuana states. That makes 28 states -- more than half the country -- that allow for medical marijuana, along with another dozen or so red states that have passed limited CBD-only medical marijuana laws as a sop to public opinion. It's worth noting that Montana is a special case. Voters there approved medical marijuana in 2004, only to see a Republican-dominated state legislature gut the program in 2011. The initiative approved by voters this year reinstates that program, and shuttered dispensaries are now set to reopen. The increasing acceptance of medical marijuana is going to make it that much harder for the DEA or the Trump administration to balk at reclassifying marijuana away from Schedule I, which is supposedly reserved for dangerous substances with no medical uses. It may also, along with the growing number of legal pot states, provide the necessary impetus to changing federal banking laws to allow pot businesses to behave like normal businesses. The Trump victory and Republican control of both houses of Congress has profound drug policy implications, for everything from legal marijuana to funding for needle exchange programs to sentencing policy to the border and foreign policy and beyond. Early Trump cabinet picks, such as Alabama Sen. Jeff Sessions (R) to lead the Justice Department, are ominous for progressive drug reform, but as with many other policy spheres, what Trump will actually do is a big unknown. It's probably safe to say that any harm reduction programs requiring federal funding or approval are in danger, that any further sentencing reforms are going to be in for a tough slog, and that any federal spending for mental health and substance abuse treatment will face an uphill battle. But the cops will probably get more money. 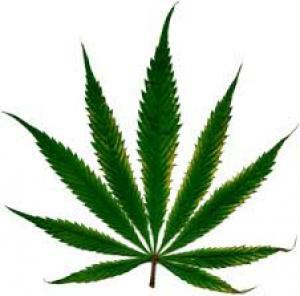 The really big question mark is around marijuana policy. Trump has signaled he's okay with letting the states experiment, but Sen. Sessions is one of the most retrograde of drug warriors in Washington. Time will tell, but in the meantime, the marijuana industry is on tenterhooks and respect for the will of voters in pot legal states and even medical marijuana states is an open question. Just as this year comes to an end, the CDC announced that opioid overdose deaths last year had topped 33,000, and with 12,000 heroin overdoses, junk had overtaken gunplay as a cause of death. There's little sign that things have gotten any better this year. The crisis has provoked numerous responses, at both the state and the federal levels, some good, but some not. Just this month, Congress approved a billion dollars in opioid treatment and prevention programs, and the overdose epidemic has prompted the loosening of access to the opioid overdose reversal drug naloxone and prodded ongoing efforts to embrace more harm reduction approaches, such as supervised injection sites. On the other hand, prosecutors in states across the country have taken to charging the people who sell opioids (prescription or otherwise) to people who overdose and die with murder, more intrusive and privacy-invading prescription monitoring programs have been established, and the tightening of the screws on opioid prescriptions is leaving some chronic pain sufferers in the lurch and leading others to seek out opioids on the black market. In a bid to undo some of the most egregious excesses of the drug war, President Obama has now cut the sentences of and freed more than a thousand people sentenced under the harsh laws of the 1980s, particularly the racially-biased crack cocaine laws, who have already served more time than they would have if sentenced under current laws passed during the Obama administration. He has commuted more sentences in a single year than any president in history, and he has commuted more sentences than the last 11 presidents combined. The commutations come under a program announced by then-Attorney General Eric Holder, who encouraged drug war prisoners to apply for them. The bad news is that the clock is likely to run out before Obama has a chance to deal with thousands of pending applications backlogged in the Office of the Pardons Attorney. The good news is that he still has six weeks to issue more commutations and free more drug war prisoners. Derived from a Southeast Asian tree, kratom has become popular as an unregulated alternative to opioids for relaxation and pain relief, not to mention withdrawing from opioids. It has very low overdose potential compared to other opioids and has become a go-to drug for hundreds of thousands or perhaps millions of people. Perturbed by its rising popularity, the DEA moved in late summer to use its emergency scheduling powers to ban kratom, but was hit with an unprecedented buzz saw of opposition from kratom users, scientists, researchers, and even Republican senators like Orrin Hatch (R-UT), who authored and encouraged his colleagues to sign a letter to the DEA asking the agency to postpone its planned scheduling. The DEA backed off -- but didn't back down -- in October, announcing that it was shelving its ban plan for now and instead opening a period of public comment. That period ended on December 1, but before it did, the agency was inundated with submissions from people opposing the ban. Now, the DEA will factor in that input, as well as formal input from the Food and Drug Administration before making its decision. The battle around kratom isn't over, and the DEA could still ban it in the end, but the whole episode demonstrates how much the ground has shifted under the agency. DEA doesn't just get its way anymore. It actually happened late in 2015, but the impact was felt this year. In December 2015, Congress approved an omnibus budget bill that removed the ban on federal funding of needle exchanges. The ban had been in place for 20 years, except for a two-year stretch between 2009 and 2011, when Democrats controlled the House. Federal funding for needle exchanges is another drug policy response that could be endangered by Republican control of both the Congress and the presidency. When will the US join the ranks of nations that embrace the harm reduction tactic of supervised drug consumption sites? Maybe sooner than you think. Moves are underway in at least three major US cities to get such facilities open, a need made all the more urgent by the nation's ongoing opioid crisis, as the Drug Policy Alliance noted in a December report calling for a number of interventions, including safe injection sites, to address it. In New York City, the city council has approved a $100,000 study into the feasibility of safe injection sites, while in San Francisco, city public health officials have endorsed a call for them there and have even suggested they need as many as a half dozen. But San Francisco Mayor Ed Lee opposes them, so battle lines are being drawn. The best bet may be Seattle, where city and surrounding King County officials are on board with a plan to open safe injection sites to fight heroin and prescription opioid abuse. That plan, conceived by the Heroin and Prescription Opiate Addiction Task Force, was released in September. Nearly 20 years after Congress passed limited federal civil asset forfeiture reform, the practice is now under sustained assault in the states. More than a half-dozen states had passed civil asset forfeiture reforms before the year began, and this year the following states came on board (although some of the new laws did not end, but only modified or restricted civil asset forfeiture): California, Florida, Mississippi, Nebraska, Ohio, Oklahoma, Tennessee, and Wyoming. And next year looks to be more of the same. Bills have already been filed in Missouri and Texas, and renewed efforts are likely in New Hampshire and Wisconsin, where they were thwarted this year. The Transactional Records Access Clearinghouse (TRAC) reported in December that convictions for drug cases referred by the DEA continued a 10-year decline. During Fiscal Year 2016, federal prosecutors won 9,553 criminal convictions on cases referred by the DEA. That's down 7.1% from the previous year, down 25% from five years ago, and down 35% from 10 years ago. TRAC notes that the decline in convictions is the result of fewer referrals by the DEA, not a lowered conviction rate, which has held steady. The DEA has clarified that it still considers CBD to be illegal, Arkansas moves forward on implementation of its new program, Michigan gets legal dispensaries and a favorable court ruling, and more. Last Wednesday, DEA clarified that, yes, it still considers CBD to be illegal. The DEA added a new code for marijuana extracts, including low-THC CBD cannabis oils, in the Federal Register. The code defines marijuana extracts as "an extract containing one or more cannabinoids that has been derived from any plant of the genus Cannabis, other than the separated resin (whether crude or purified) obtained from the plant." That means that marijuana extracts, even those derived from low-THC industrial hemp, are considered marijuana and are placed under Schedule I of the Controlled Substances Act. On Monday, imprisoned California dispensary operators were seeking a presidential commutation. Luke Scarmazzo and Ricardo Montes operated a medical marijuana dispensary in Modesto, California, until their arrest by federal drug agents 10 years ago. They were prosecuted and convicted of federal drug crimes for their efforts and sentenced to 21 years 10 months and 20 years, respectively. Now, they are formally seeking sentence commutations from President Obama, who has cut the sentences of more than a thousand other federal drug prisoners so far this year. The pair point out that they would not have been prosecuted under current federal policies largely turning a blind eye to marijuana in states where it is legal, whether recreationally or merely for medical purposes. On Tuesday, a state appeals court ruled that local officials can't use federal law to harass dispensaries. In a unanimous decision, the state Court of Appeals ruled that local officials can't use the federal ban on marijuana to refuse to provide zoning for dispensaries. Maricopa County Attorney Bill Montgomery (R) had no legal basis to claim that federal law trumps the state's voter-approved medical marijuana, the court held. On Tuesday, state regulators set the number of commercial grows at five. The state Medical Marijuana Commission voted Tuesday to allow up to five commercial cultivation centers in the state. The Arkansas Medical Marijuana Amendment, approved by voters last month, specified that there could be between four and eight centers; the commission opted to start on the low end. Grows won't start, however, until rules about growing, processing, and distribution are finalized. Last Thursday,Mthe governor said the state should "get rid of" medical marijuana after legalization. Tea Party Republican Gov. Paul LePage called for an end to the state's medical marijuana program: "If you've got recreational marijuana, it's over the counter," he said. "Why do we need medical marijuana?" But initiative backers said the intent of the legalization initiative was to respect medical marijuana and have "dual programs running side by side." 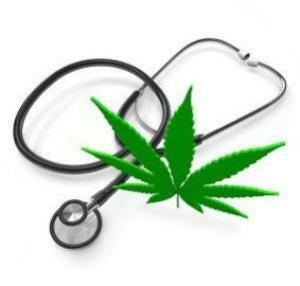 On Tuesday, the state's new medical marijuana laws went into effect. New state laws that will explicitly allow for dispensaries, regulate growing and processing facilities, and allow patients to use non-smokable forms of the drug are in effect as of Tuesday. "This new law will help Michiganders of all ages and with varying medical conditions access safe products to relieve their suffering," Gov. Rick Snyder (R) said after signing the bills back in September. "We can finally implement a solid framework that gives patients a safe source from which to purchase and utilize medical marijuana." Also on Tuesday, the state appeals court ruled that the medical marijuana law protects people transporting it. The state Court of Appeals ruled that the state's medical marijuana law extends to people accused of illegally transporting it. A state law written after voters approved medical marijuana, requires that it be stored in the trunk or other inaccessible part of the vehicle, but the court held that law is invalid because it imposes additional requirements on medical marijuana users. Last Thursday, the state Pharmacy Board issued draft rules for dispensaries. The board has issued proposed rules governing medical marijuana distribution in the state. The rules envision up to 40 dispensaries operating, with applicants having to show they have at least $250,000 in liquid assets. Applicants would have to pay a $5,000 non-refundable application fee, and if approved, would have to pay an $80,000 annual fee. Dispensaries would also have to pay a $100 fee for each advertisement, which would have to be approved by the board. The rules are open for comment until January 13. The Board of Pharmacy is one of three state agencies tasked with regulating the nascent industry. The State Medical Board has already released rules for doctors, and the Commerce Department is charged with regulating growers and processors. Last Wednesday, Republicans rolled out a medical marijuana bill. State Sen. Steve Dickerson (R-Nashville) and state Rep. Jeremy Faison (R-Cosby) held a press conference Wednesday to introduce their "conservative proposal" to allow for the use of medical marijuana. Their draft bill would set a limit of 50 grow houses statewide, with each allowed to operate one on-site and two storefront dispensaries. It appears to make no provision for patient or caregiver grows. And it limits medical marijuana eligibility to a small list of specified conditions, including cancer, HIV/AIDS, ALS, PTSD, and Alzheimer's. President Obama has just commuted the sentences of another 153 drug offenders, Maine legalization foes concede their recount isn't going anywhere, Marc Emery's Montreal pot shops get raided in a hurry, and more. Guam Governor Calls for Marijuana Legalization. Guamanian Gov. Eddie Calvo (R) says it's time to legalize it. "I want us to look at how states navigated into recreational marijuana," Calvo, a Republican, said in a Facebook post on Monday. "Let's figure it out and then tax the heck out of it and use those taxes to help fund our hospital, public safety and education." The comments come just days after Calvo vetoed a bill that would have allowed medical marijuana patients to grow their own, saying it would "impose new and different duties upon our health and law enforcement agencies that will deplete their already strained resources." Maine Legalization Opponents Give Up on Recount. The anti-legalization group that challenged the narrow victory of Question 1 in last month's elections has given up the ghost. No on 1 said Saturday it was apparent that the recount would not change the outcome. "We promised folks that if we came to a point where we could not see any chance of reversing the result, we would not drag the process out,"said Newell Augur, legal counsel for the No on 1 campaign. "We are satisfied that the count and the result are accurate." Now, the election result can be certified by the secretary of state, and legalization should go into effect sometime next month. Imprisoned California Dispensary Operators Seek Presidential Commutation. Luke Scarmazzo and Ricardo Montes operated a medical marijuana dispensary in Modesto, California, until their arrest by federal drug agents 10 years ago. They were prosecuted and convicted of federal drug crimes for their efforts and sentenced to 21 years 10 months and 20 years, respectively. Now, they are formally seeking sentence commutations from President Obama, who has cut the sentences of more than a thousand other federal drug prisoners so far this year. The pair point out that they would not have been prosecuted under current federal policies largely turning a blind eye to marijuana in states where it is legal, whether recreationally or merely for medical purposes. 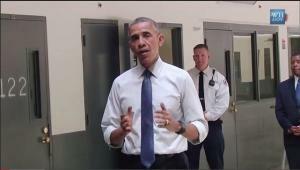 Obama Issues Another Round of Sentence Commutations. The White House announced Monday that President Obama has commuted the sentences of another 153 federal prisoners, bringing the total this year to more than 1,100. A list of the prisoners and their offenses is not yet available, but Obama's earlier commutations had been directed almost entirely at people serving draconian drug sentences. Marc Emery's Montreal Pot Shops Raided One Day After Opening. Long-time Canadian pot gadfly Emery and nine others were arrested after a series of raids Friday on his chain of Cannabis Culture pot shops. While Canada is moving to legalize marijuana, it hasn't done so yet, and authorities are working to keep the lid on the bubbling industry. Emery slammed Montreal Mayor Denis Coderre for the raids. "The mayor's behavior is despicable," he said. "If the mayor of Montreal wants to keep his city backward, behind and full of oppression, then that is the statement he just made to the world." As conditions of his bond, Emery cannot consume marijuana, communicate with anyone involved in the Cannabis Culture shops, or be in the province of Quebec except to show up for court dates. China Denies Being Source of New Synthetic Drugs. Chinese officials have called assertions that China is the source of synthetic opioids linked to the deaths of thousands of drug users "unsubstantiated." Such statements "lack the support of sufficient numbers of actual, confirmed cases," China's National Narcotics Control Commission told DEA's Beijing office in a fax dated Friday. The DEA has said that China is the predominant source of fentanyl, the synthetic opioid many times more powerful than heroin, which has been implicated in thousands of drug overdose deaths. President Obama has commuted the sentences of more than a thousand federal drug war prisoners, but thousands more have applications in the pipeline. With an incoming Trump administration exceedingly unlikely to act on those petitions, scholars, activists, and at least one US congressman are calling on Obama to expedite clemency efforts while he still can. In a Tuesday letter, more than 50 scholars and advocates, including Van Jones and performer John Legend, as well as representatives from the NAACP and the Southern Center for Human Rights, not only called on Obama to ramp up the pace of commutations, but also to consider granting clemency to entire categories of drug war prisoners without case-by-case review. In a 2014 Justice Department move, the Obama administration called on prisoners still doing time for offenses whose sentences were reduced under the 2010 Fair Sentencing Act to seek sentence cuts and set out criteria spelling out who was eligible. While thousands have applied, a strict vetting process and problems in the Office of the Pardons Attorney means that thousands of clemency requests have yet to be acted on. Time is too tight to just continue as before, the advocates said, especially given the "law and order" proclivities of the next administration. "While your administration continues to review individual petitions, we urge you to also determine that nonviolent offenders in certain extremely low-risk categories either deserve expedited review or should be granted clemency absent an individualized review," the group wrote. "We do not know whether the next president will support clemency efforts or criminal justice reform," the letter concluded. "But we do know that until January 20, you alone have the power to deliver both mercy and justice to those who deserve it." The group suggested that instead of a time-consuming individualized assessment of inmates' prison behavior, the administration use "prison placement (to a minimum security camp or a low- or medium-security facility) as a surrogate for how an individual has behaved in prison" in order to speed up the process. Another suggestion was to grant clemency to those labeled "career offenders" based solely on drug convictions. And the group suggested that Obama need not "commute entire sentences," but could instead provide partial "tiered relief" to reduce some sentences. The scholars and advocates weren't the only ones putting Obama on notice that the clock is ticking. US Rep. Steve Cohen (D-TN), the ranking member of the House Judiciary Committee Subcommittee on the Constitution and Civil Justice also sent the president a Tuesday letter urging expedited action on commutations. "I would urge you to summon the maximum manpower at your disposal to vet commutations and pardons so that as many sentencing wrongs as possible may be corrected as thousands of incarcerated Americans who are serving unjust sentences may receive justice," wrote Cohen. While much of the attention has been focused on people sentenced to decades in prison over small amounts of crack cocaine -- an injustice only partially redressed in the Fair Sentencing Act -- Cohen also recently urged Obama not to forget marijuana prisoners. "President Obama should be commuting the prison sentences of those serving time for nonviolent marijuana-related convictions," said Cohen. "Medical marijuana is now legal in 28 states as well as the District of Columbia, and more than 63 million Americans live in states that have now approved recreational marijuana. The President should increase clemency review staff and work overtime to free as many of these individuals as possible before he leaves office. Every day that someone continues to serve an unjust sentence is a day justice is denied. As Dr. Martin Luther King, Jr. so rightly noted, 'Justice too long delayed is justice denied.'" Scholars, advocates, and a US congressman are calling on Obama to ramp up the commutation process in the final weeks of his term, the CDC issues a report calling for expanded syringe exchange, Maryland moves to address racial diversity (or the lack thereof) in the medical marijuana business, and more. Massachusetts Marijuana Victory Faces Certification Delay. Secretary of State William Galvin said Monday that the November 8 election results may not be certified in time for marijuana legalization to go into effect on December 15, that date it is supposed to become legal. Ballot initiatives in the state do not become law until they are officially certified, and a December 14 meeting is the earliest date voting tallies on the initiative are likely to presented, Galvin said. But if not by December 15, certainly by early next year, he added: "All those tokers can hold their breath a little longer, but they'll be able to exhale" by early 2017, Galvin quipped. Maryland Moving to Improve Diversity in Medical Marijuana Industry. The state Cannabis Commission announced Monday that it is hiring a consultant to advise it on steps it can take to improve racial diversity in the nascent industry. The consultant will decide whether a study can be conducted to determine whether minorities have been unfairly excluded. If such a finding is made, that would allow the state to consider race when awarding medical marijuana licenses. Groundbreaking Report from CDC Calls for Expansion of Syringe Access Programs. In a report on HIV and injection drug use released Tuesday, the Centers for Disease Control and Prevention (CDC) calls strongly for expanding needle exchange programs. "Syringe services programs (SSPs) can play a role in preventing HIV and other health problems among people who inject drugs (PWID)," the report found. "They provide access to sterile syringes and should also provide comprehensive services such as help with stopping substance misuse; testing and linkage to treatment for HIV, hepatitis B, and hepatitis C; education on what to do for an overdose; and other prevention services. State and local health departments can work with their lawmakers and law enforcement to make SSPs more available to PWID." Calls Mount For Obama to Ramp Up Commutations as Term Nears End. A coalition of scholars and activists as well as a US congressman are calling on President Obama to expand clemency efforts in the final weeks of his administration -- including considering granting clemency to entire groups of people without case-by-case review. Obama has commuted the sentences of more than a thousand people sentenced under draconian drug war sentencing laws, but thousands more have applied for commutations without those applications yet being acted on. Iran Keeps Moving Toward Ending the Death Penalty for Drugs. The Iranian parliament last week agreed to expedite deliberations on a measure that would dramatically limit the number of people facing execution for drug offenses in the Islamic Republic. Now, the proposal will get top priority in the Legal and Social Affairs Committee before heading before the full parliament. The measure would limit the death penalty to "organized drug lords," "armed trafficking," "repeat offenders," and "bulk drug distributors." Iran is one of the world's leading drug executioners, with drug offenders accounting for the vast majority of the more than a thousand people it executed last year. 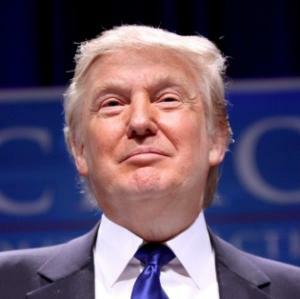 The president continues to exercise his commutation power on behalf of drug war prisoners, the Florida face-biting killer was not on any new psychoactive substances, Montana activists want their medical marijuana program to restart now, not later, and more. Montana Activists File Suit to Force Early Action on Patient Cards. In the wake of last week's vote to reinstate the state's medical marijuana program, the Montana Cannabis Industry Association has filed a lawsuit seeking to force the Department of Health and Human Services to immediately begin processing and issuing medical marijuana cards. The language of the ballot measure means the state has until next summer to act, but the MCIA doesn't want to dally. Florida Face-Biting Killer Wasn't on Bath Salts, Flakka. Austin Harrouff, the Florida man charged in the face-biting slaying of a neighbor couple was not under the influence of new psychoactive substances, an autopsy report released Wednesday revealed. Early press and law enforcement commentary had suggested Harrouff was high on bath salts (methcathinone) or flakka (alpha-PVP), but the autopsy revealed only prescription medications and a "minimal" amount of THC in his system. "Austin is struggling with severe mental illness and the judicial process will bear all of this out in due time," his attorney, Nellie King said. Obama Announces More Commutations, Total Now Over a Thousand. President Obama Wednesday announced that he was commuting the sentences of 79 more drug offenders sentenced under draconian drug laws dating back to the 1980s. That brings the total of commutations under Obama to more than one thousand, which is more than the list 11 presidents combined. Thousands more commutations requests filed in response to an Obama administration call in 2014 remain pending as the clock ticks down on Obama's time in office. Cayman Islands Legalizes CBD Cannabis Oil. Gov. Helen Kilpatrick last week signed into law legislation allowing for the use of CBD cannabis oil in the island nation. The oil can be used for the treatment of conditions including epilepsy and cancer and as a pain reliever for arthritis symptoms. The law does not allow for marijuana to be grown in the country, but the legislature last month passed a separate law allowing for the importation of CBD cannabis oil. The president continues granting clemency to federal drug war prisoners, Iran executes more drug prisoners, Filipinos approve of their president's dirty, deadly drug war, and more. Connecticut Minors Can Now Qualify for Medical Marijuana. Under changes in the state's medical marijuana system that went into effect this week, minors with certain specified conditions can now enroll in the program. Those conditions include cerebral palsy, cystic fibrosis, irreversible spinal cord injury with intractable spasticity, severe epilepsy, intractable seizure disorders, and terminal illness. Arizona Civil Asset Forfeiture Law Challenged in New Lawsuit. The Institute of Justice has filed a lawsuit on behalf of an elderly Washington state couple who loaned their car to their adult son so he could drive to Florida, but had their vehicle seized after the son was arrested in Arizona with a "personal use quantity" of marijuana. The state's asset forfeiture laws are unconstitutional, the lawsuit alleges. This case was filed against the sheriff of Navaho County. The ACLU of Arizona is pursuing a similar case in Pimal County. Obama Commutes Sentences of 102 More Drug War Prisoners. 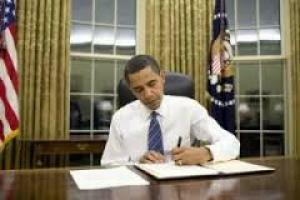 President Obama Friday granted clemency to another 102 imprisoned federal drug offenders, bring the total so far to 774. Obama has now freed more prisoners that the previous 11 presidents combined, but advocates want him to do more. "The President is doing the right thing, but we hope to see many more commutations," said Michael Collins, deputy director at the Drug Policy Alliance's Office of National Affairs. "We also need Congress to remain engaged on this issue." Congress has pending sentencing reform bills before it. Iran Hangs Seven More for Drug Offenses. Even as the parliament considers ending the death penalty for drug offenses, executions continue apace. Seven prisoners were hanged in late September for drug offenses at Minab's Central Prison. Last year, drug offenders accounted for nearly two-thirds of the 970 people executed in the Islamic Republic. Filipinos Overwhelmingly Approve of Duterte's Deadly Drug War. A national opinion poll finds that 84% of Filipinos surveyed said they were satisfied or moderately satisfied with the president's harsh anti-drug campaign, which has left more than a thousand people killed by police and twice that number killed by vigilantes. Some 94%, though, said suspects should be brought to trial alive, but despite Duterte's call for killing them, most respondents still rated his efforts as "excellent." Obama commutes more drug sentences, Boston gets its first dispensary, more signs of how horrid South Dakota is on marijuana, Utah SWAT deployment data, and more. Oregon US Attorney Prosecuting Black Teen Over One Gram of Weed. In the first federal marijuana possession prosecution in the state in five years, teenager Devontre Thomas has been charged over a gram of pot found in another student's backpack at the federal Indian School they both attended. The other teen claimed he got the weed from Thomas, and that's enough for US Attorney Billy J. Williams to charge Thomas with "knowingly and intentionally possessing marijuana." Williams is getting blowback from many, including US Sen. Jeff Merkley (D-OR), who said "situations like this are best handled by the state." South Dakota to Prosecute Consultants for Aborted Indian Tribe Pot Grow. Attorney General Marty Jackley announced Wednesday that two men who consulted with the Flandreau Santee Sioux Tribe in its effort to grow marijuana have been indicted on a range of marijuana possession charges. The tribe began to grow after the federal government signaled that tribes could do so, but destroyed its crop after federal officials raided other tribes than had entered the business and after state officials threatened to arrest non-Indians who used marijuana there. One of the consultants was hit with felony possession and is looking at up to 7 ½ years in prison, while the other, who cooperated with authorities, only got a misdemeanor charge. Boston Gets Its First Dispensary. The Patriot Cares dispensary is open on Boston's Milk Street as of today. The company says it's ready for 150 patients a day and that 200 patients have already registered. South Dakota Medical Marijuana Initiative Supporters Sue Over Signatures. The secretary of state's office said petitions from the South Dakota Coalition for Compassion came up short on signatures, blocking the measure from going to the voters, and now, the coalition has filed a complaint alleging that signatures were not properly counted. The coalition is seeking to have the secretary of state's decision thrown out and that a local judge will order the initiative placed on the November ballot. 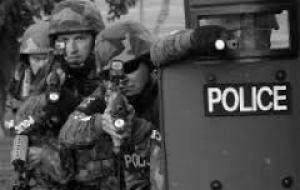 Utah SWAT Used Overwhelmingly for Drug Crimes. Utah is the only state to currently require reporting on SWAT deployments, and the 2015 report has just been released. SWAT was deployed 457 times in 2015, including 281 forced entries into private residences. Three-quarters of those forced entries were drug raids. The data also showed that police were more likely to use "no-knock" search warrants against drug suspects than against violent crime suspects. Go figure. Obama Frees More Federal Drug Prisoners, But Time is Running Out. Some 214 federal drug war prisoners saw their prison sentences commuted Wednesday as President Obama took another step toward fulfilling his administration's pledge to use his pardon power to cut draconian drug sentences and free prisoners serving decades-long stretches for non-violent drug crimes.Those whose sentences were commuted Wednesday will walk out of prison on December 1. With Wednesday's commutations, Obama has now commuted the sentences of 562 men and women sentenced under harsh federal drug laws, including 197 people doing life for drug offenses. That's more commutations than the last nine presidents combined. Some 214 federal drug war prisoners saw their prison sentences commuted Wednesday as President Obama took another step toward fulfilling his administration's pledge to use his pardon power to cut draconian drug sentences and free prisoners serving decades-long stretches for nonviolent drug crimes. "The power to grant pardons and commutations… embodies the basic belief in our democracy that people deserve a second chance after having made a mistake in their lives that led to a conviction under our laws," the president said. Those whose sentences were commuted Wednesday will walk out of prison on December 1. With Wednesday's commutations, Obama has now commuted the sentences of 562 men and women sentenced under harsh federal drug laws, including 197 people doing life for drug offenses. That's more commutations than the last nine presidents combined. But it's not close to the number whose sentences Obama could commute under a program announced in 2014 by then Attorney General Eric Holder and Deputy Assistant Attorney General James Cole. 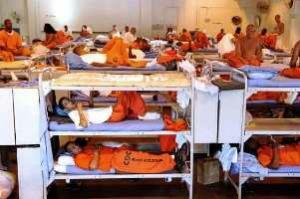 They called on nonviolent federal drug war prisoners to seek clemency in April 2014. "In 2010, President Obama signed the Fair Sentencing Act, reducing unfair disparities in sentences imposed on people for offenses involving different forms of cocaine, but there are still too many people in federal prison who were sentenced under the old regime -- and who, as a result, will have to spend far more time in prison than they would if sentenced today for exactly the same crime," said Holder. "This is simply not right." Holder noted at the time that Obama had granted commutation to eight people serving time for crack offenses the previous December. "The White House has indicated it wants to consider additional clemency applications, to restore a degree of justice, fairness, and proportionality for deserving individuals who do not pose a threat to public safety. The Justice Department is committed to recommending as many qualified applicants as possible for reduced sentences," Holder said. Under Holder's criteria for clemency, low-level drug offenders who had served at least 10 years, had good conduct in prison, had no significant criminal history or connection to gangs, cartels, or organized crime, and who would probably receive a "substantially lower sentence" if convicted of the same offense today would be eligible for sentence cuts. Many of those might not make it to Obama's desk before the clock runs out on his term because the Justice Department has stumbled in administering the program. Thousands of prisoners doing harsh drug war sentences could lose their chance for early freedom because Justice didn't get around to hiring enough people to handle the flood of applications it generated. That would undercut Obama's legacy of redressing drug war injustice. There are now only six months to go in his presidency, and nearly 18,000 prisoners who were told to seek clemency are now waiting for a response.